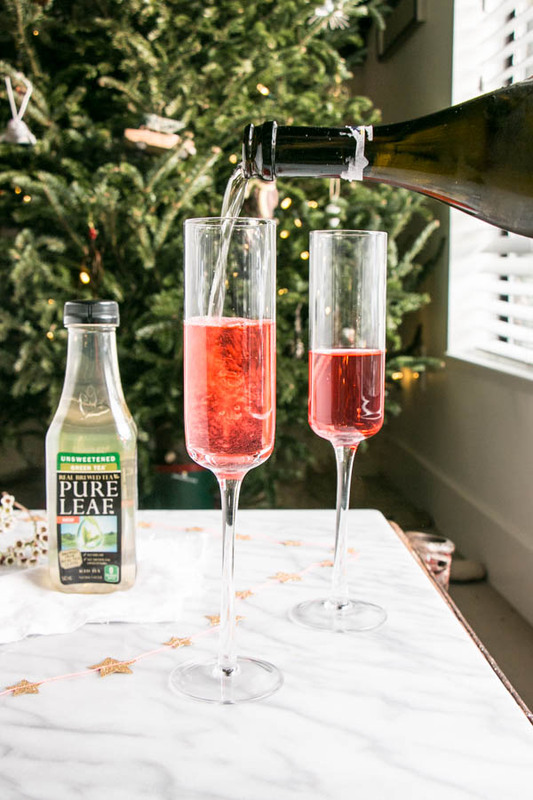 This post is sponsored by Pure Leaf Canada as part of the #holidayparTEA campaign. My Kitchen Love has been compensated monetarily and with product, although all opinions expressed are my own. New Year’s Eve! 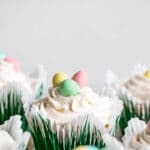 The perfect excuse to have a party and some fizzy cocktails. There’s always excitement in the air as we say goodbye to the year past and hello to a new one. 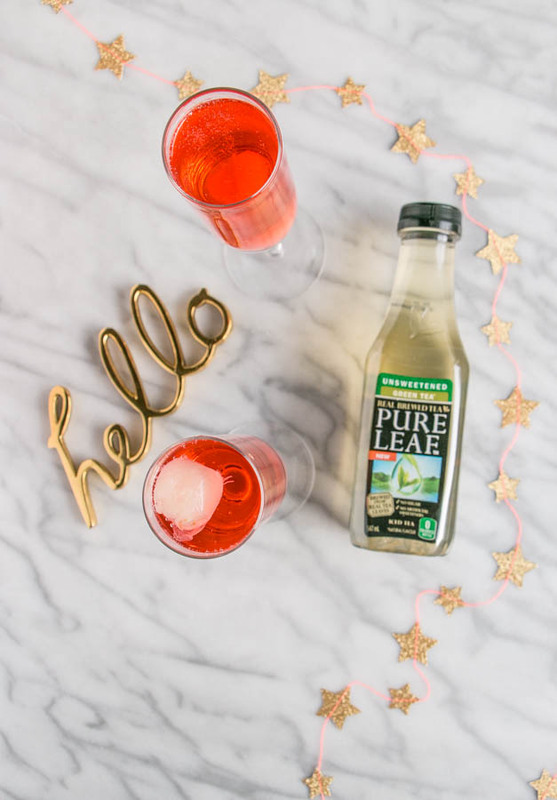 This New Year’s Eve, I’m teaming up with Pure Leaf Canada to ring in the new year with a Lychee Green Tea Fizz cocktail that says farewell 2016 and hello 2017! 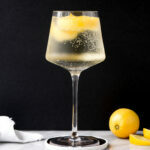 This cocktail is light, bubbly, and has the perfect amount sweetness. Sweet lychee is a wonderful flavour to pair with crisp green tea and some bubbles. Taking a sip over the fizzy sweet flavours is refreshing and grounding at once. It’s the perfect way to get your New Year’s Eve party started and to say cheers as the new year rolls in. Resolutions time. Do you do them? My intentions for the new year need some attention, as in time to reel things in and focus on what’s important. More time at home with my family, eating more real and fresh foods, getting outside everyday. Things that my kids will see and learn from. I remember the intentions I would set when I was younger and how naive I was then. You know, back when sleep was abundant and I wasn’t changing a diaper every 2 minutes. I’m looking forward to 2017 and seeing what it will bring. What would you like to see here? 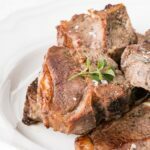 I’m hoping January is filled with healthy foods you and yours kids will love, including some veggie filled slow cooker meals. From there I’d love to hear what you’re looking for. 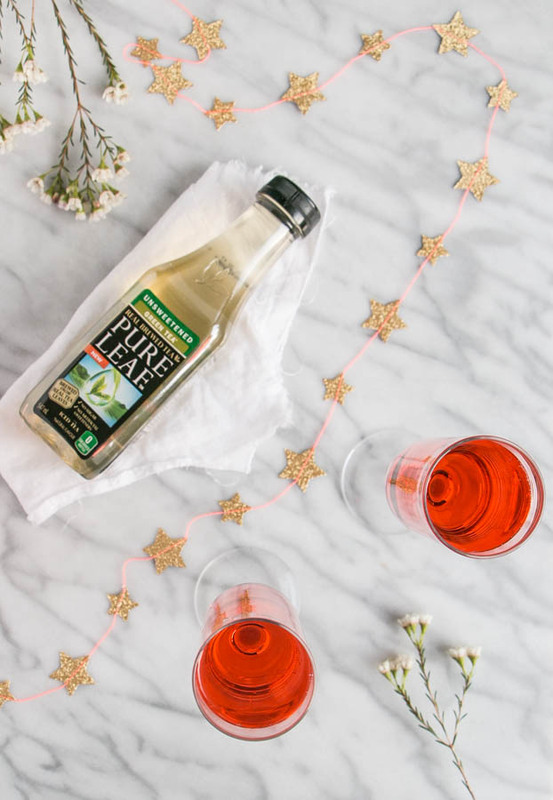 Ring in the New Year with a vibrant Lychee Green Tea Fizz. 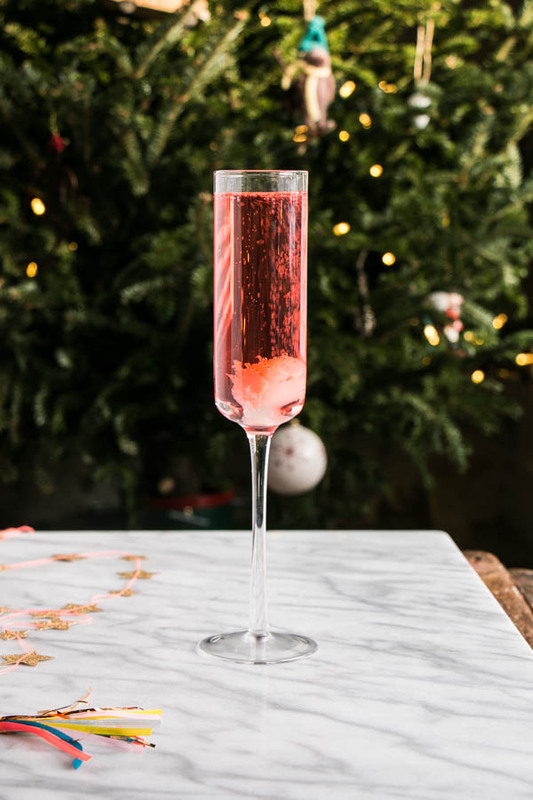 Place lychee liquor and grenadine in a champagne flute. Top with iced green tea and lychee if using. I'll whip you up one! ;) It is refreshing, just sweet enough from the lychee, crisp from the green tea and perfectly bubbly from the sparkling wine. Happy new Year Julia!